It was a whiplash injury of her own that led Morena away from the legal field onto a new path. Massage therapy treatments soothed not only her injuries but fed her soul with the desire to educate and help others understand the body’s natural ability to heal and maintain itself. Morena graduated with honours from ICT Kikkawa College and became registered in 2002. She is also a Reiki Master. 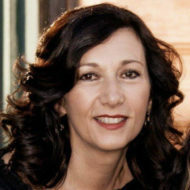 Morena incorporates Swedish, myofascial release, and cranial-sacral techniques into her treatments. She enjoys taking continuing education courses to keep current, focussing on myofascial release. Its use in perinatal massage is extremely beneficial in opening restricted areas in the body, which provides freedom of movement and decreases pain. Exercise, reading, cooking, and spending time with family are just a few of Morena’s favourite pursuits outside of work.